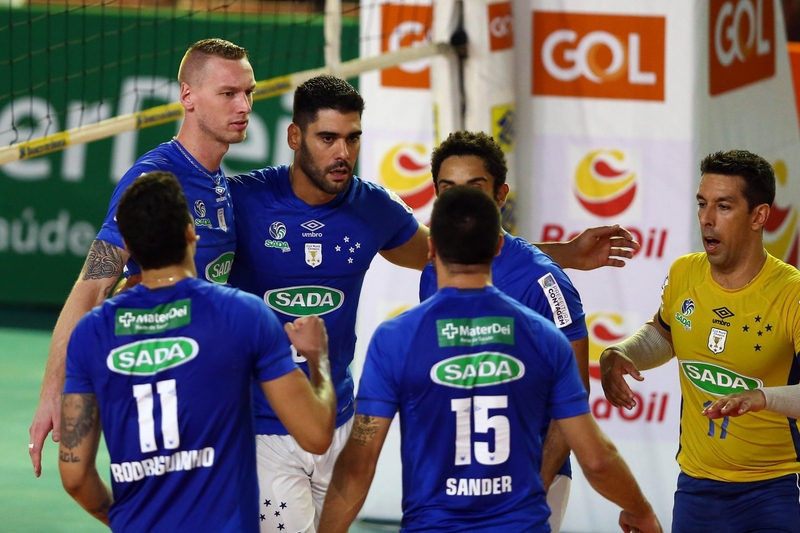 The four-time Copa Brasil champion, Sada Cruzeiro, beat Fiat Minas on Sunday, January 27th, by 3 sets to 0, and the victory was very much celebrated by the entire team. However, for four Raposa players (Raposa, fox in English, is Sada Cruzeiro`s mascot) the trophy raised in Lages-SC had a special flavor, since it was their first obtained in a national championship with the blue team. This being the case of American outside hitter Taylor Sander, French Kevin Le Roux, also the opposite Luan and the setter Sandro, all hired this season by Sada Cruzeiro. “I am very happy. Copa Brasil trophy was the whole team`s goal, because to conquer it means that we are evolving, improving as a team, and we are also helping Sada Cruzeiro remain on the winning track, which is a strong mark of this team. Let’s celebrate a lot and then turn our focus to the Superliga, which is another great goal of our team, “emphasized central Le Roux. Taylor Sander was one of the highlights of the semifinal against Copel Telecom Maringá with 18 points. And Le Roux also left his name marked in the tournament statistics, with 13 points and a total of five aces. In the final, they also greatly helped the blue team beat Fiat Minas. Sander made a total of 10 points, with 64% of efficiency in attack. And Le Roux bothered a lot the opponent with his strong serve, scoring two aces and working very well in blocking actions.